Heroes of the Storm is about to turn two, and we want to thank all of YOU, our fearsome fighters, for coming on this epic journey with us. We couldn’t have gotten here without you and your incredible passion and dedication for the game—so we’re throwing an in-game party befitting of all of you Heroes! Celebrate the second anniversary of Heroes with us from the week of May 30 through June 12. 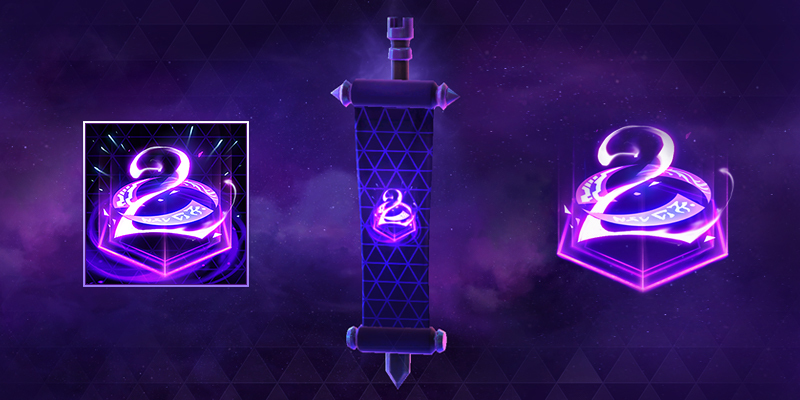 Just log in and play to earn daily Loot Chests—plus an exclusive Banner, Portrait, and Spray! Note: These anniversary items will be exclusive to this event and will not be available for Shard crafting or from Loot Chests. To kick off our anniversary event, we’ll be hosting an English-speaking stream on our official BlizzHeroes twitch channel at 10 a.m. PDT on June 5. Tune in for guests, games, giveaways, and more! Thanks for joining us for these fantastic two years. Here’s to many more in the Nexus!